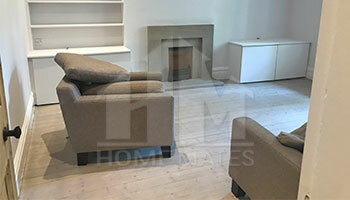 Choose reliable and guaranteed end of tenancy cleaning service in Tooting, SW17 with HomeMates. Give us a call now and get an instant free quotation! End of tenancy cleaning is a procedure which provides excellent results in the form of flawless cleanness which will satisfy your landlord entirely. Moving out is not always easy, so it is nice to have someone who can assists in case of a need. Our professional cleaners are the perfect partners for your end of tenancy cleaning because they are very experienced and know a lot of methods for prompt and successful sanitation. In exchange for the most competitive price, our employees will disinfect every inch of your rental property. You just have to give them a ring at Tooting, SW17. We remove different types of grime, collected dust, stains and other pollution from furniture, kitchen appliances, carpets and other things. Our modern cleaning techniques and state-of-the-art disinfection equipment will make your rental property sparkling clean in several hours. Don’t give your money for toxic and ineffective cleaning products from the shop when you can pay one small fee and receive incredible cleanness. We are an agency which is prepared not only to make you the most tempting offer for cheap end of tenancy cleaning, but which can also finish everything within a short period. Our cleaners like to work fast because they know that our clients usually don’t have a lot of time before they have to move out. Therefore, for our professional company and our hard-working employees the disinfection of the rental property in which you currently live will be very easy. All will be done promptly, so that you can get your security deposit back as planned. You can tell our end of tenancy cleaning specialists what you expect and they will do their best to give it to you. Our employees won’t disappoint you, even if you need an emergency end of tenancy cleaning service in Tooting.